For many Jewish New Zealanders, their decision on which political candidate to support will at least partly be based on that candidate’s position on Israel and “the conflict”, as well as their sensitivity around anti-Semitism as it exists in 2017. Jacinda Ardern, who may well be New Zealand’s PM in two weeks, has given little away in terms of her position on both of these matters, although in general she comes across as moderate on international matters, and strong against racism. 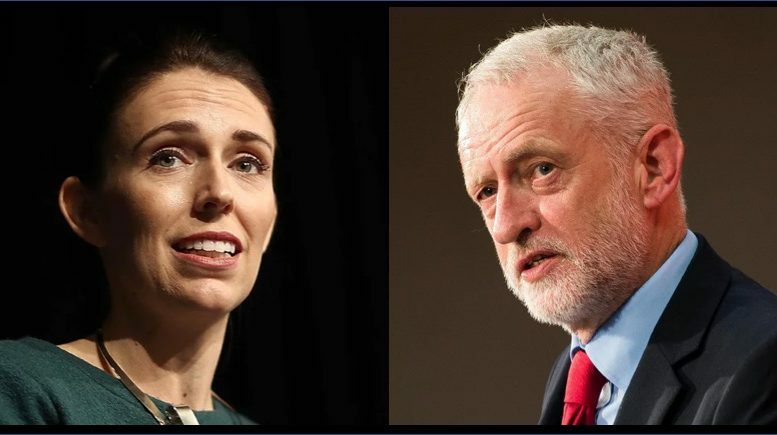 A few days ago, however, Ardern proudly shared an endorsement she’d received that may have caused a few Jewish Kiwis some discomfort. This was from UK Labour leader Jeremy Corbyn – a man seen by many progressives as a hero of the left. But for the vast majority of UK Jews – and many Kiwi Jews too – he is seen as tolerant of anti-Semitism, if not actively anti-Semitic. Corbyn’s problems with Jews go back a while. The list of worrying alliances, statements, and failures to act is long and growing. His supporters, citing his lifetime commitment to fighting “all forms of racism”, have dismissed these concerns as ‘smears’ and the weaponisation of anti-Semitism for political gain. It is difficult to imagine an ethnic group whose legitimate concerns over racism have been more blatantly dismissed by a mainstream western political party in recent years. Among all ethnic groups, it seems that only Jews are considered ill-qualified to determine for themselves what constitutes racism against them. In the recent UK election, polls indicated that only 13% of Jews supported Corbyn’s Labour party. This is a dramatic reversal of UK Jews’ traditional support for Labour. In fact, it has been suggested that, in the narrow race, Jewish alienation may have helped the Conservatives retain power. Corbyn has called terror groups Hamas and Hezbollah “friends” and attempted to invite them as his “honoured guests” to the UK Parliament. He also referred to Hamas as “an organisation that is dedicated to the good of the Palestinian people and bringing about long term peace and social justice”. He participated in a wreath-laying ceremony at the grave of one of the terrorists behind the massacre of 11 Israeli Olympic athletes in Munich in 1972. He accepted ₤20,000 as payment for appearances on Iranian government-controlled Press TV. He claimed that he did this to raise “human rights issues”, but there is no evidence that he did that. He did, however, listen to callers share anti-Semitic slurs, without interjection or opposition. He appointed the former chair of virulently anti-Israel group Stop The War to head his election campaign. During the election campaign, Corbyn supporters erected a banner depicting Theresa May with Star of David earrings, “to highlight her relationship with Israel”. A report into anti-Semitism in the Labour Party published in 2016 was widely seen as a whitewash. Following its publication, the report’s author, Shami Chakrabarti, was almost immediately made a Labour peer. At the public launch of the report a Jewish Labour MP, Ruth Smeeth, suffered anti-Semitic verbal abuse, while Jeremy Corbyn stood by and did nothing to intervene. In his speech at the same launch, Corbyn appeared to compare Israel to Isis, which former Chief Rabbi Lord Sacks called, “demonisation of the highest order, an outrage and unacceptable”. Corbyn invited extremist Imam Sheik Raed Salah to “tea on the terrace” at Parliament, “because he deserves it”. He also called him an “honoured citizen”. Salah was charged with inciting anti-Jewish racism and violence in January 2008 and was sentenced to eight months in prison. Despite finding remarks (repeatedly made) by Ken Livingstone connecting Zionists with Nazis anti-Semitic and bringing the Labour party into disrepute, the Labour party decided not to expel Livingstone from the party and instead suspended him for one year – a decision widely seen as shameful. Jewish Labour MPs who have spoken out against Corbyn have received appalling anti-Semitic abuse and threats. In July this year Jewish MP Luciana Berger was threatened with deselection by Corbyn supporters. Corbyn has done little (if anything) to support the MPs suffering such abuse. Corbyn has declined several invitations to visit Israel’s Holocaust museum, Yad Vashem. He has also consistently turned down requests for interviews with Jewish newspapers. A recent survey commissioned by the Campaign Against Anti-Semitism found that a third of UK Jews are now thinking about emigrating. It also revealed that more than three-quarters of UK Jews believe that the Labour Party’s stance on Israel has intensified levels of bigotry. Corbyn’s ties and allegiances with extremists, including those who advocate for the death of all Jews, whether in or outside Israel, are of great concern to Jews everywhere. It is daunting to see Corbyn escape scrutiny for these ties from his own party, which professes to stand against racism. It would be particularly galling for Kiwi Jews to see unquestioning support for such a morally defective individual from someone who may soon lead the country. Shalom.Kiwi calls on Ms Ardern to distance herself from such a malignant stain on the left’s traditional and proud commitment against racism.